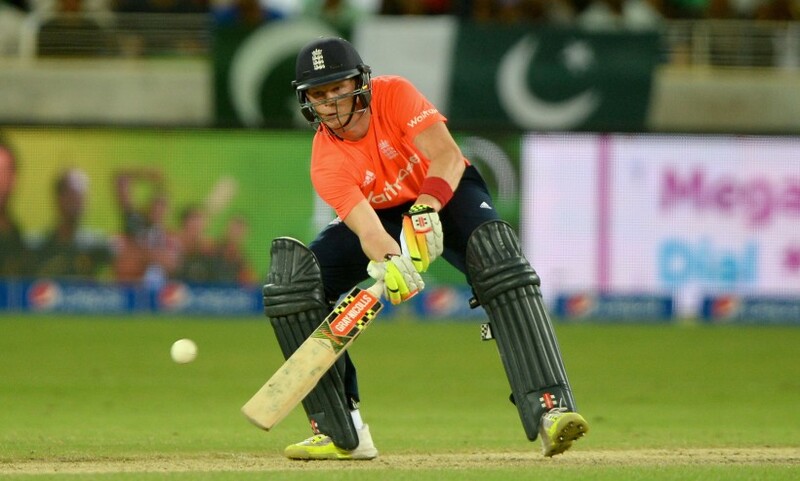 Sam Billings was named Man of the Match as his maiden international half-century inspired England to victory in the opening T20 international against Pakistan in Dubai. The Kent Cricket Academy graduate smashed 53 off 27 balls as he added 65 in the last six overs with captain Eoin Morgan to propel England to 160. The tourists slipped to 19-3 in the fourth over before Morgan (45) and debutant James Vince (41) revived the innings with a 76-run stand off 61 balls. But Billings’ innovative shot selection and clean hitting made the difference as he struck two legside sixes and five fours: the highlights an audacious scoop over the fine leg fence and a well-timed sweep over the mid-wicket boundary. The 24-year-old used his footwork to unsettle the Pakistan attack, hitting down the ground and flicking a pair of fine legside scoop shots for boundaries as well as two wristy shots wide of mid-on. He was ran out by Sarfraz Ahmed off the last ball, selflessly attempted to steal an extra run. In reply, Pakistan were bundled out for 146 as Billings took two catches and claimed a stumping to seal the 14-run win. The second of the three T20 internationals against Pakistan begins on Friday (27 November) at 4pm with live coverage on Sky Sports and BBC Test Match Special, online and on BBC Radio.